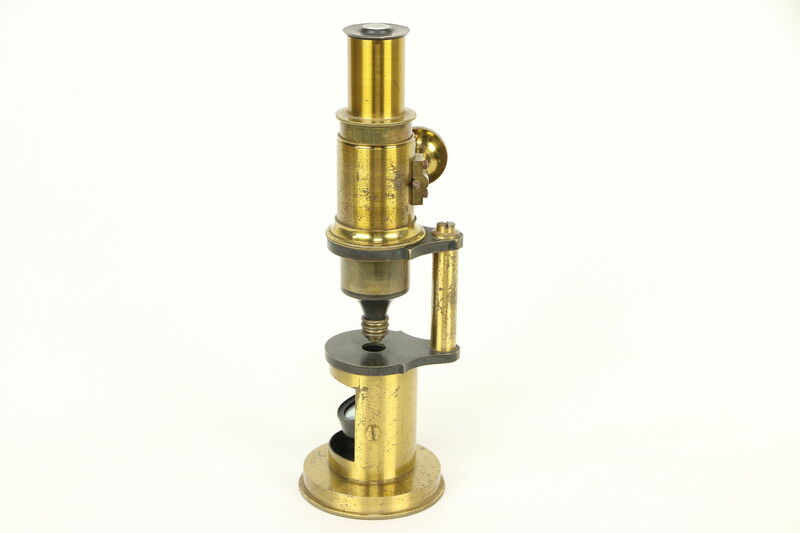 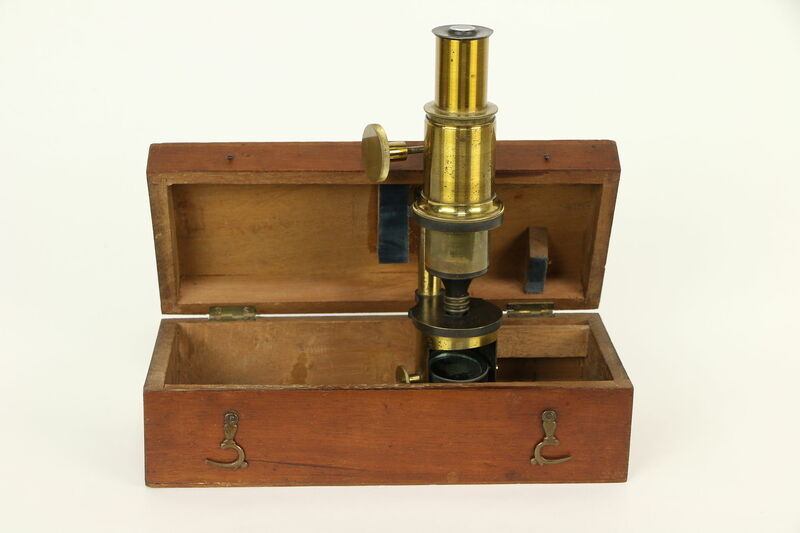 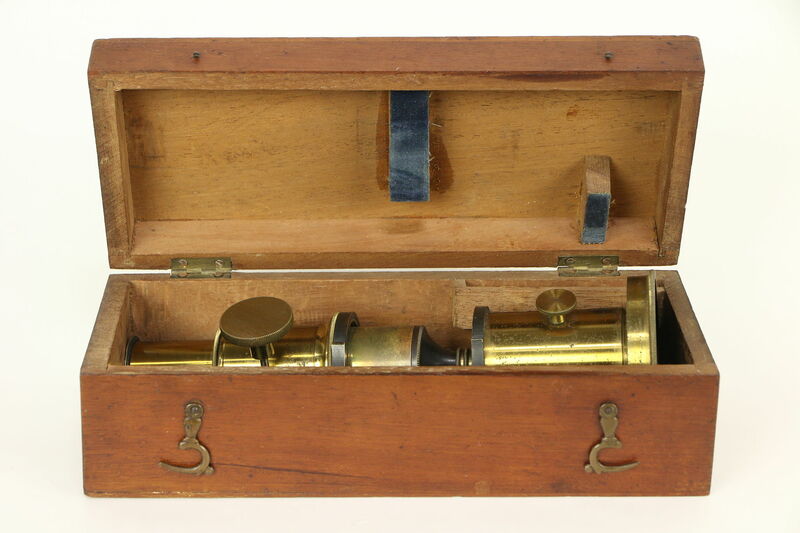 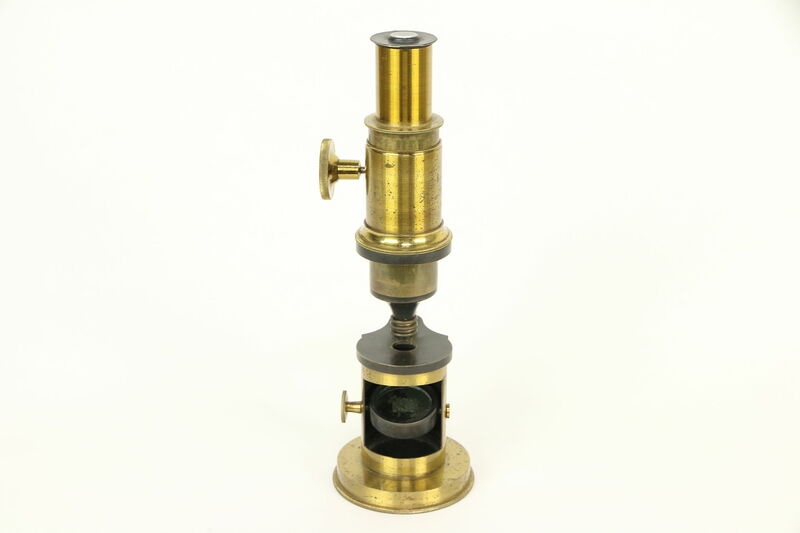 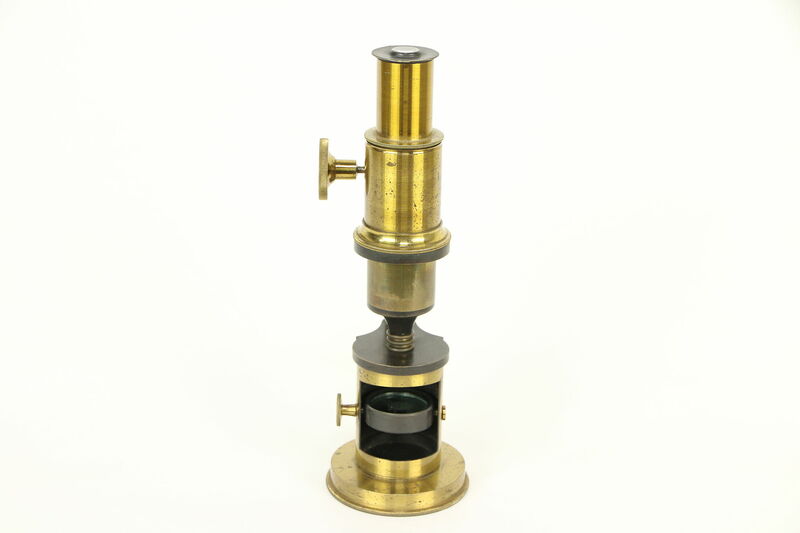 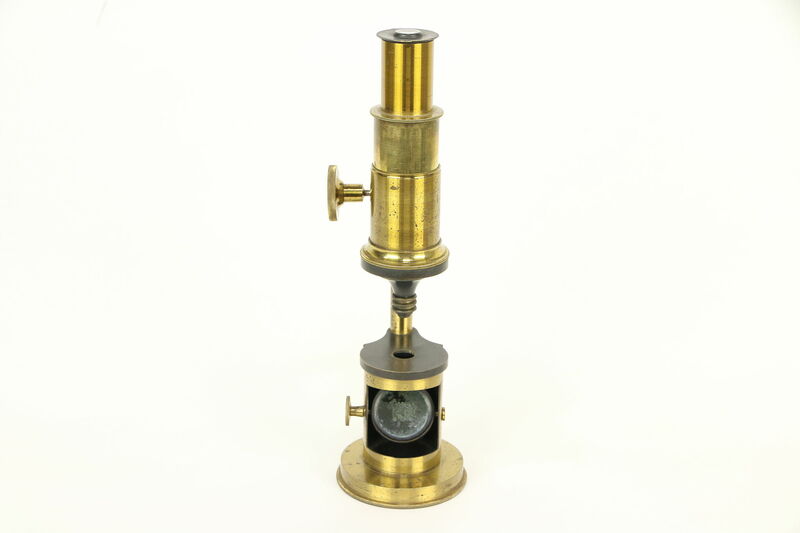 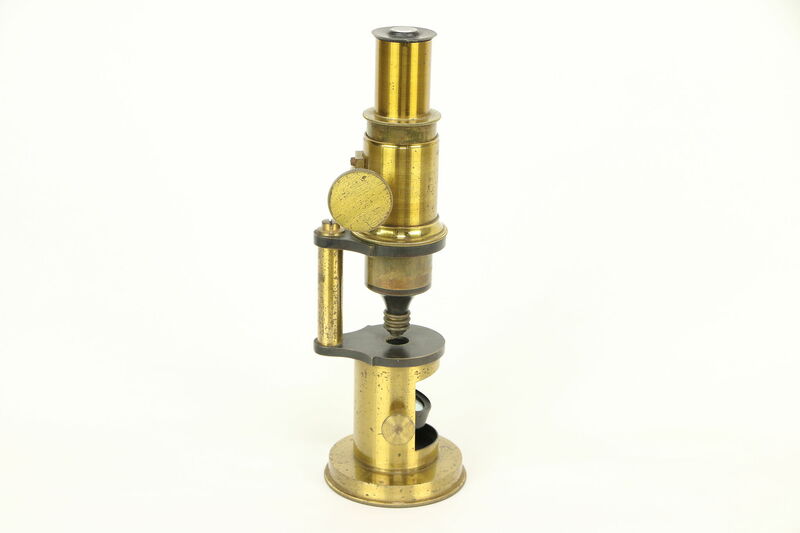 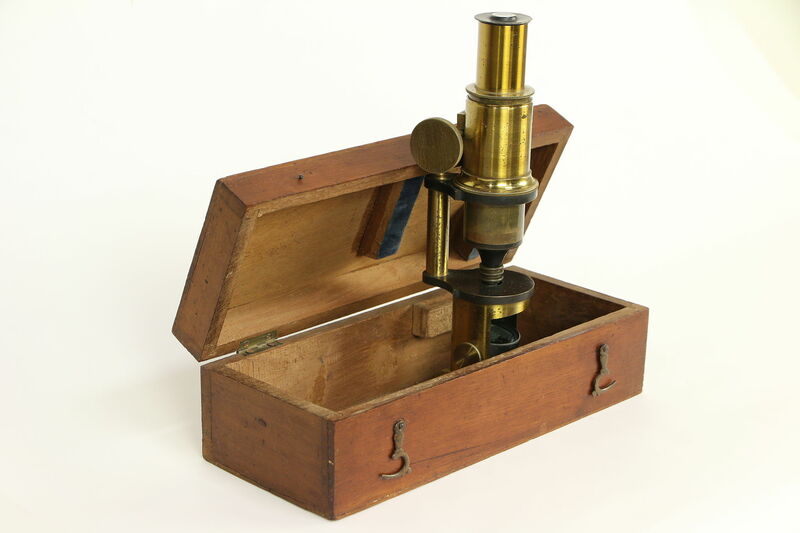 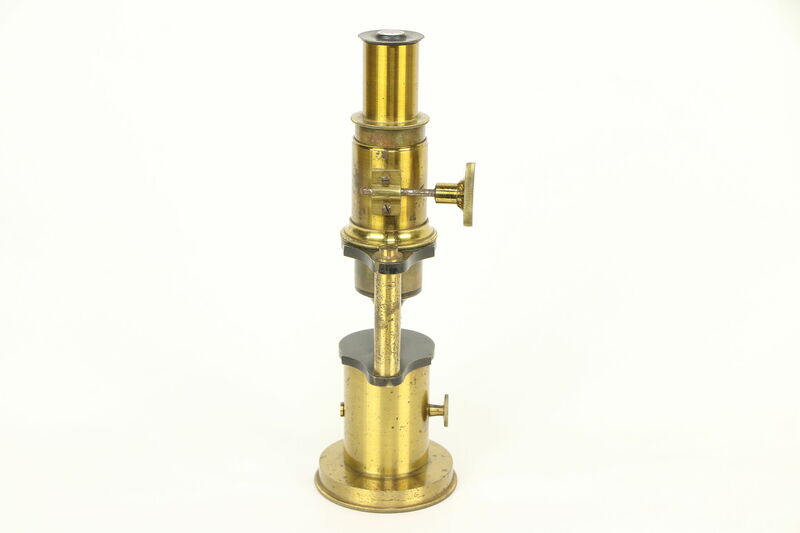 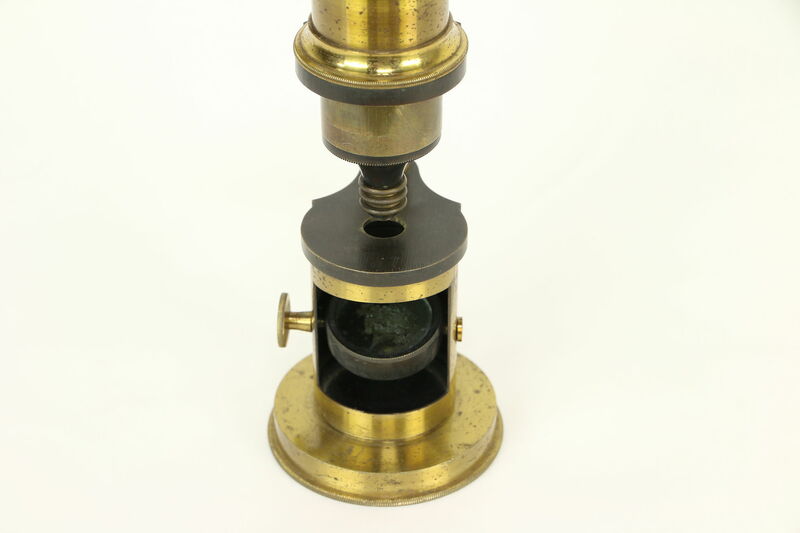 An English microscope from around 1880 is solid brass with a swivel mirror. 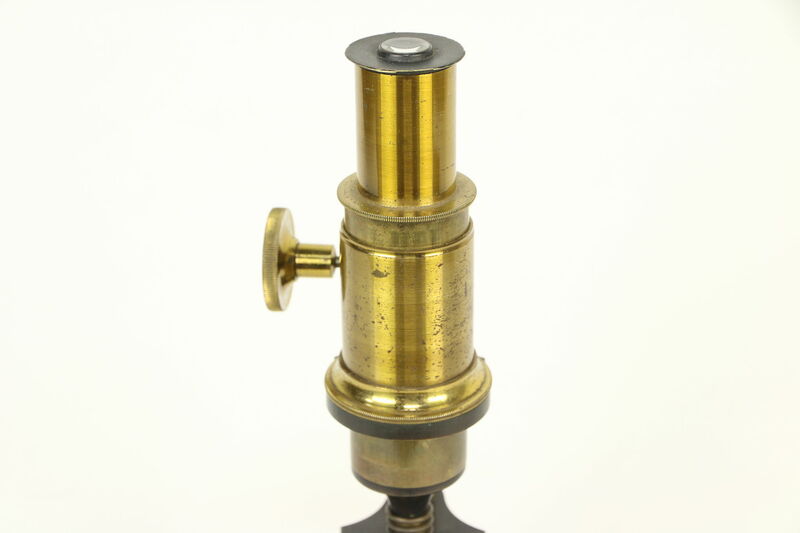 Length is 7 1/2" when collapsed. A knurled knob adjusts the focus. 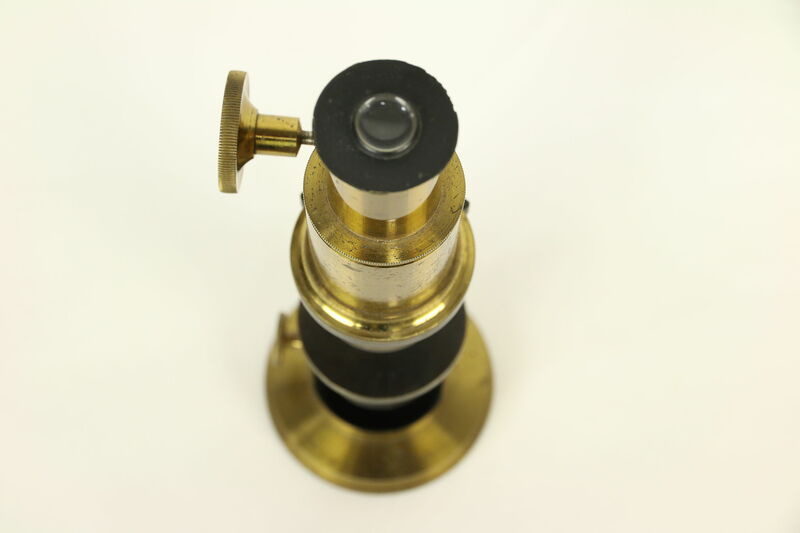 There are silvering losses on the mirror. 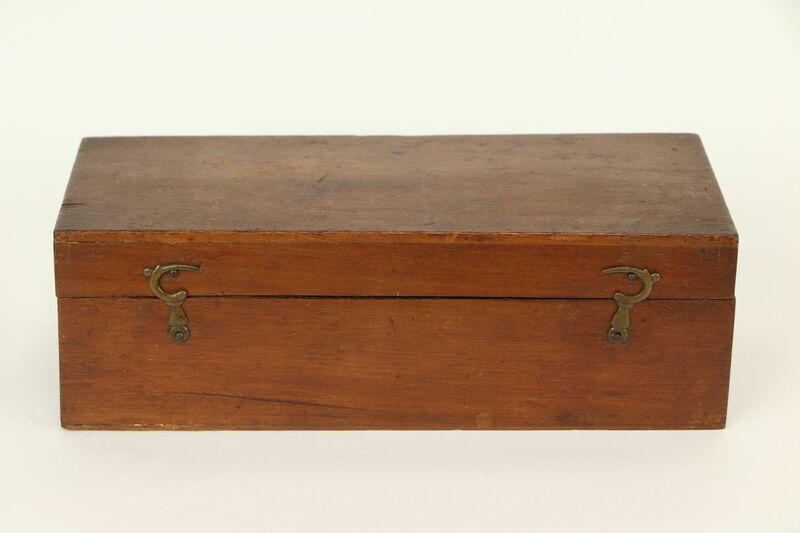 The mahogany case measures 8 1/2" x 3 1/2" and 3" tall.